Are you ready For Fun things to Do Near Blacksburg, VA? Mountain Lake Lodge offers exciting recreational activities for all ages, from calm nature walks to a thrilling day at the Adventure Center. Come explore 22 miles of scenic walking, hiking, and mountain biking trails that wind through our preserve. Start your weekends with Beach Volleyball or a relaxing evening by the outdoor pool. Our on-site outfitters staff will guide you to the perfect adventure, we offer a daily schedule full of fun activities, including arts and crafts and naturalist programs. We also offer a bonfire pit and movie nights. 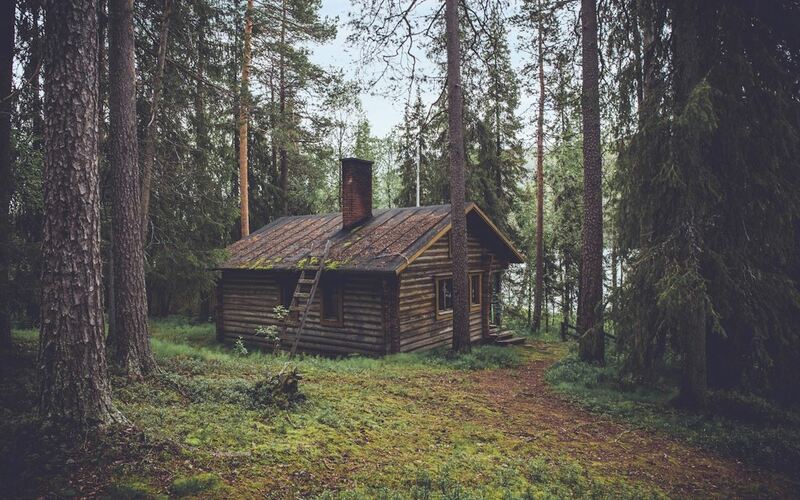 You are trapped in a cabin and have 1 hour to escape with everything you need to survive! Find food, water, and medicine before time runs out! 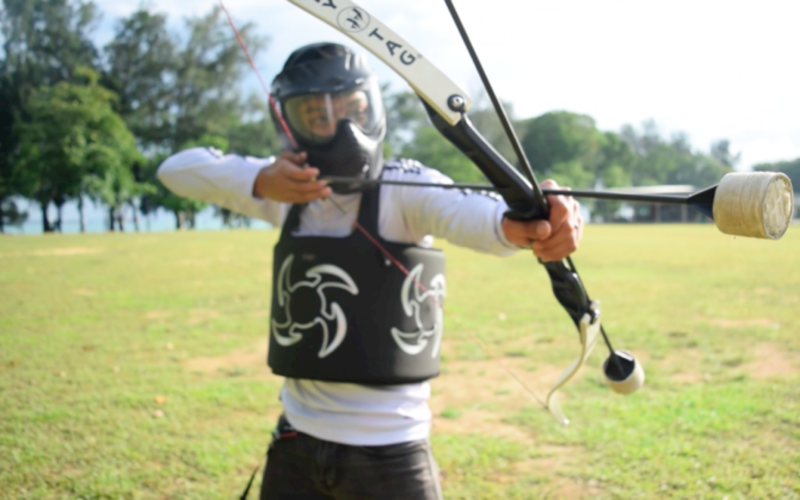 Put your archery skills to the test in Archery Tag! Special arrows with soft-tip ends will let you compete against friends and family in this action packed game! Climb, balance, and zip-line your way through one of our exciting Treetop Adventure courses. Climb, balance, and zip-line your way through on of our Treetop Adventure courses! Opens Saturday, April 13, 2019. 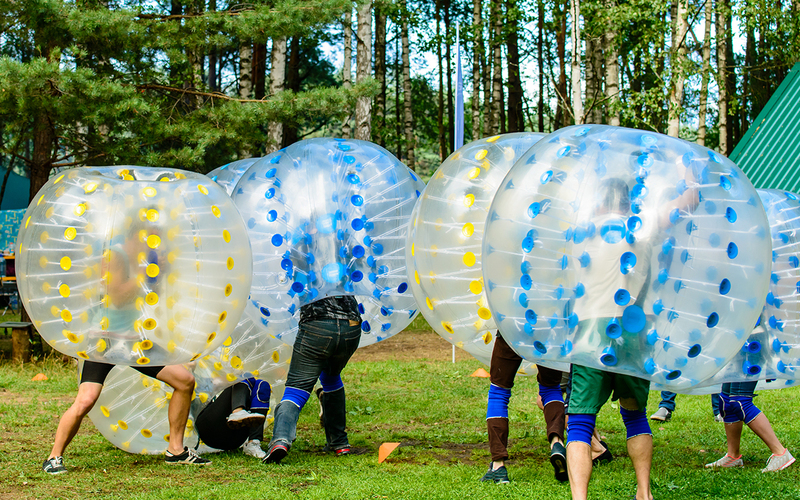 Get ready for an unbelievable take on soccer when you become the ball - the bubble ball, that is. Bounce and roll your way to victory inside a giant inflatable body ball. Get ready for an unbelievable take on soccer when you become the ball - the bubble ball, that is. You'll bounce and roll your way to victory inside a giant inflatable body ball. Opens June 2019. Introducing the sky slide, a five story slide of adrenaline filled, action packed water fun. Introducing the Sky Slide, a five story slide of adrenaline filled, action packed water fun. Opens June 2019.